The "innovative judging process" was revealed as part of today’s launch of the national design competition, which will see members of the public in the country invited to submit proposals. Shortlisted designs will be reviewed by elementary school classes, including those in international schools. Pupils in individual classes will vote, with each class choosing their single preferred set of designs. Tokyo 2020 will select the design set which attracts the largest number of classroom votes. 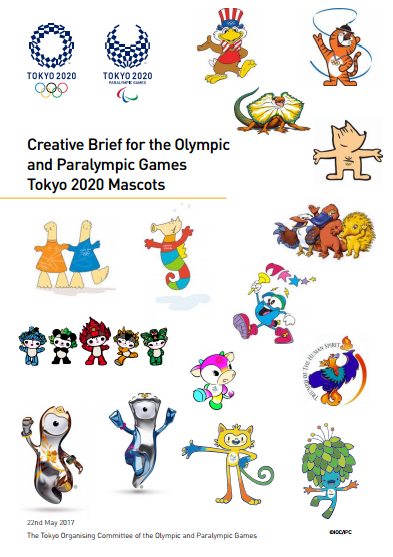 "The Olympic and Paralympic mascots have become a much-loved feature of the Games, garnering attention from fans all over the world," Tokyo 2020 said in a statement. "They add to the excitement surrounding the Games, while also communicating the values of the Olympic and Paralympic Movements and reflecting the culture of the host country. "The mascots for the Tokyo 2020 Games will therefore play a key role in introducing Japanese culture to the world." The design submission period is due to take place from August 1 to 14 with the mascot selection process panel due to draw up a shortlist of design sets in December. Elementary schoolchildren will vote on the shortlist from December to January and the design set with the largest number of votes is scheduled to be announced as the winner in March. From July to August 2018, the selection process panel will decide the names for the winning mascots. Tokyo 2020 had revealed in March that the names will come from creative professionals, rather than from the general public. Mascots are a popular element of modern Japanese culture, usually created to promote a particular region, event or business. They are often deployed by Local Governments or other organisations to stimulate tourism and economic development, or by companies to build on their corporate identity. "Given the importance of mascots in modern Japanese culture, we always knew there would be huge public interest in the selection of the Tokyo 2020 mascot," Yoshiko Ikoma, vice-chairperson of the selection process panel, said. "We think this process gives the public - and especially schoolchildren - a unique opportunity to participate in the design and selection process." In addition to professional illustrators and designers, members of the public in Japan - including non-Japanese residing in the country - will be invited to submit their personal mascot designs through Japanese and English-language websites. A "creative brief", which can be accessed here, has been produced with a set of design guidelines and criteria for applicants. Those entering the competition will be required to submit designs for both Olympic and Paralympic mascots. Tokyo 2020 set up a special panel last year to decide the process by which the mascots would be chosen. 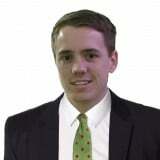 The panel met on numerous occasions and earlier this month submitted its recommendations, which have now been approved. It was established by organisers as they aimed to avoid the controversy surrounding their logo in 2015. Nearly 15,000 entries were received in an open contest to pick the new emblem.